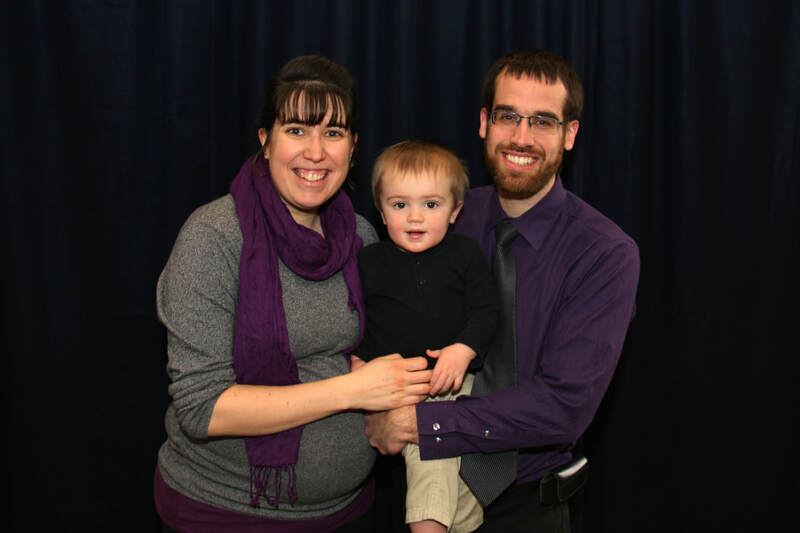 Isaac (Ike) Graham has been a pastor of the Orrville Grace Brethren church since 2000. He also helped to plant the church from 1981-1982. He has a Master of Theology degree from Grace Theological Seminary in Winona Lake, IN. He served with his wife, Nancy, and their children as missionaries in Japan from 1984 to 1992 under Grace Brethren Foreign Missions; and under the Conservative Grace Brethren churches from 1993-1994. ​He and Nancy have 4 biological children (Ben, Seth, Rachel and Joel) and three adopted sons (Arthur, Jessey and Nathan). Pastor Ike continues to be involved in foreign missions by making trips to India to train men in Biblical doctrine and be the communication hub between the India church planters and the churches here in the USA. Pastor Delmar Miller was born to Dean & Barbara Miller in Millersburg, OH. Del trusted in Jesus Christ to be his Savior in June of 1972 as he listened to the Gospel message at his grandfather’s funeral. He and his wife, Grace, traveled with a ministry team for quite a few years before moving back to Ohio and started attending OGBC in 1990. Pastor Del served in various volunteer and part time capacitates from 1993-2005 at the church while he took seminary classes through the CGBCI Schools of Theology (practorium). He has been on staff since 2006 and was ordained into the ministry on October 24, 2008. In addition to Bible teaching, he oversees a number of ministries including Grace Bible Club, Sunday music, and outreach. 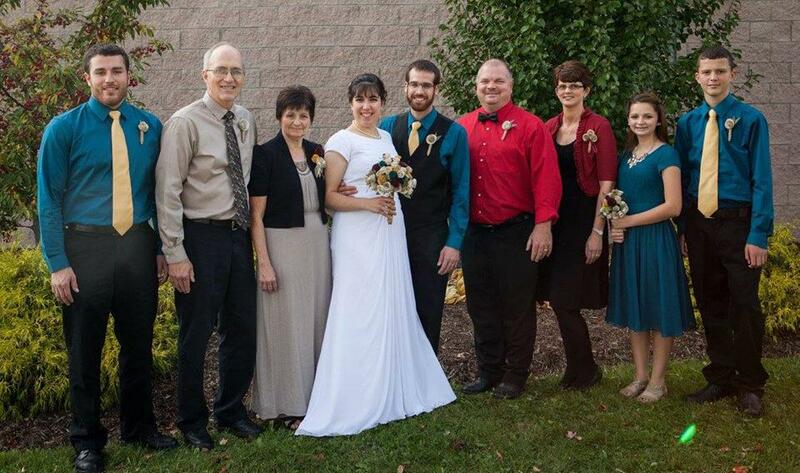 He and his wife Grace have been married since April 14, 1979 and have a daughter Joy (Joshua), a son Josh (Autumn) and a foster son, Brian (Roberta, Kayla & Xavier). Joshua grew up in a Christian home, but was living a twofaced life; acting one way when he was at church, and a completely different way when he was at school. It wasn’t until he was 18 years old that the Lord helped him to see the absolute necessity of having a relationship with Him. He personally surrendered his life to the Lord and began to seek to live for his Lord and Savior Jesus Christ. Upon completing high school he had the privilege of attending Appalachian Bible College (ABC) in West Virginia. During his freshman year he began to realize that God was calling him to fulltime vocationally ministry. He graduated from ABC in the spring of 2010 with a B.A. in Bible and Theology and that fall began his graduate work in the CGCBI Schools of Theology at OGBC. The year of 2015 contained many exciting chapters in his life. In the spring he completed his course work for his Masters of Divinity degree. That fall he had the privilege of marrying the exceptional and great blessing from the Lord: Joy Miller! They were united in the unbreakable covenant of marriage on October 23, 2015. Less than three months later he became one of the elders at OGBC. He is excited to have the opportunity to learn how to shepherd a church alongside his two mentors, Pastor Ike and Pastor Del. Galatians 2:20 has always challenged him, as Paul says: “I have been crucified with Christ and it is no longer I who live, but Christ who lives in me; and the life which I now live in the flesh I live by faith in the Son of God, who loved me and gave Himself for me.” Joshua writes, "Too often I find that I am living for myself and what I want to do, but with the Lord’s strength and enablement I am seeking to live for my Lord and Savior Jesus Christ." Joshua and Joy were blessed to welcome their son Paul David into the world in March of 2017. Josh was blessed to grow up in a Christian home where he was taught the Bible from a young age, and at the age of 8, after listening to the radio dramatization "Unshackled," Josh talked with his Dad about eternity and prayed and asked the Lord for forgiveness and accepted the free gift of salvation. As Josh grew older, he thought he was doing "pretty good" spiritually for his age, but during his high school years, the Lord brought a friend into Josh's life who was striving to grow closer to the Lord and encouraged him to keep learning. Josh decided to start taking seminary-level classes through the CGBCI School of Theology. Initially, he just audited the classes for the Bible knowledge. The longer he took classes he realized he should start taking them for credit so he could be prepared for whatever the Lord called him to. He graduated from high school in 2009 and although he still was not planning on being in full-time ministry, he continued to take practorium classes part-time while working full-time in construction. ​ In the Spring of 2013, Josh felt the Lord leading him to start heading toward the mission field. In July 2016, He graduated from the CGBCI School of Theology with a Certificate of Theology. In August 2016, he began the missionary training program in Ontario, Canada offered by New Tribes Mission. While in Canada, God brought Autumn Arp into his life, and their friendship deepened over the course of their first year of study. Josh graduated from the missionary training center in December 2017, and in March 2018, he had the great blessing of marrying Autumn. Josh and Autumn plan to move to Papua New Guinea in 2020 to begin serving on a church-planting team with the goal of bringing the gospel and the word of God to an unreached people group. They long to see God call these people to himself and establish a church there. Bill and Dixie Greenfield have been faithful, long-time members of the Orrville Grace Brethren church. In 2013, they celebrated their 30th wedding anniversary. Bill came to know the Lord in 1975. Bill is currently teaching at Wooster Christian School and Dixie is teaching in the Wadsworth City School district. They have one child, Rebecca. Bill serves as a deacon in the areas of family assistance, finances, and teaching. He is also an accomplished musician for the Canton Symphony Orchestra and blesses us also with his musical ability on many occasions. Dixie serves with Bill in his areas of ministry as a deaconess. faithful church members over the years. Dennis works as General Manager at Kidron Vinyl and Mindy helps take care of their grandchildren and is a very talented artist and decorator. She spends many hours each year decorating the church building. Dennis serves as a deacon in the areas of finances and the kitchen ministry. They have been blessed with 4 children, Cassi (Tim), Gabe (Beth), Lizzy (Tommy) and Jake. They also have 8 grandchildren whom they love to spoil. Nik grew up in Kidron, OH and at the age of 13 realized his need for a Savior. He married Becky Sohar in 1969 and they started attending the Orrville GBC in 1988. They have faithfully served the Lord at OGBC in Grace Bible Club, communion prep, ushering, etc. Nik retired from being the manager at Lehman's in 2015 and in all his extra free time enjoys spending time with his grandchildren and family, volunteering at MCC Connections and playing golf. Nik & Becky have been blessed with 4 children and 14 grandchildren. Autumn was blessed to hear at a young age that Jesus had died to pay the penalty for her sins, and when she was four years old, she repented of her sins and trusted Christ to saved her. Around the age of six, Autumn remembers hearing that there were people who had never heard about Jesus, and she decided she wanted to go tell them. That desire stayed consistent in her heart until the end of high school, when fear caused her to turn toward a different career path. However, near the end of her Junior year at University, Autumn’s mom was diagnosed with a terminal disease and God called Autumn to move home and take care of her parents and younger siblings. She never dreamed that she would be home for over 5 years, but God used that time and the death of her mom to bring her to a place of total surrender, willing to follow Him wherever He called. In 2016, God opened the door for Autumn to being training fulltime for missions, and she moved to Ontario, Canada to begin training at Emanate Missionary Training Center. One of her classmates there ended up being the brother of one of Autumn’s dear friends, and after becoming close friends for 9 months, Josh and Autumn began dating. They were married on March 24, 2018. Josh and Autumn desire to serve the Lord wherever He places them. Right now, they are preparing to serve as tribal church planters in Papua New Guinea to take the gospel to an unreached people group who have never had access to it before. Joy was blessed to grow up in a family that focused on Christ. When she was six years old she prayed "the prayer" and thought she was good to go. But later on in life she realized she had just been giving lip service and needed to surrender her life to the Lord. Her life truly changed on July 4, 2006 when she made the decision to repent from her sins and allow Jesus to take her penalty. Joy was home schooled throughout her school years which gave her many opportunities for ministry. One of those opportunities was volunteering at the church office one day a week throughout junior high and high school. 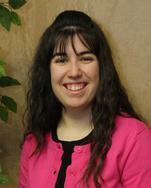 In 2007, after graduating from high school, she took over as the church secretary. 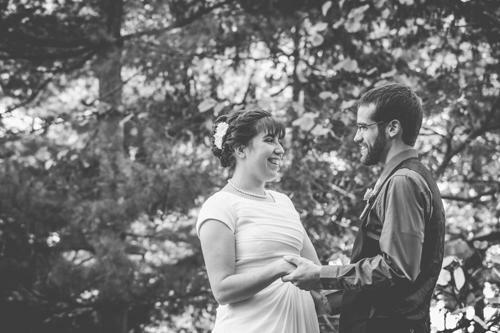 In the fall of 2015, she married Pastor Joshua Steiner and loved being able to work with him in the church office. In the Spring of 2017, they welcomed their first child, Paul David and Joy resigned from her "official" position as secretary. She enjoys being able to continue supporting the work of the church from home where she is a stay at home mom by helping with graphic design and managing the church website. spending time with her husband, family & friends. To hear her video testimony, click here.